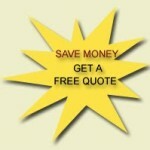 With the economy being what it is companies are continually looking for ways to save money. Companies these days often look at the different departments within the company structure to find out if there’s any fat that can be trimmed from those departments. One department that often needs reorganizing and trimming is the accounting/bookkeeping department. 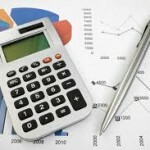 I’m often contacted by businesses who want to outsource their Orange County bookkeeping. By hiring someone like me these companies save quite a bit of time and quite a bit of money. In addition to this there are also a number of other benefits that come along with hiring outsourced orange county bookkeeper. A Focus On Core Activities – This is one of the most important reasons why outsourcing to an Orange County bookkeeper has become so popular among small and medium-sized businesses. Business owners that do this will have time to focus on developing the business without having to be bothered by the things that are not in their line of expertise such as bookkeeping. A Lot Less Paperwork – Outsourcing your bookkeeping to an Orange County bookkeeper means there’ll be more computerized works and plenty of paper saving. This saves a business a lot of money by negating the need for paper. Reduce Administrative Burdens – When you outsource your bookkeeping to an Orange County bookkeeper there will be no need to spend revenues on the hiring and training of potential bookkeeping employees. Business owners also avoid the hassles of government authorities related to employees and this also places sole responsibility on the hired Orange County bookkeeper. Extra Office Space – When you don’t have to employ a part-time or full-time bookkeeping staff this frees up a large area within an office that can then be used for other departments, for storage, or even as a meeting place for clients. Less Year End Issues – Many times a business will end up paying quite a bit of overtime for last-minute rush work as tax deadlines loom. When you outsource bookkeeping to an Orange County bookkeeper they generally work on a daily basis which eliminates pending work issues. 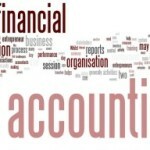 This entry was posted in Orange County Bookkeeper and tagged bookkeeping, bookkeeping services, orange county bookkeeper. Bookmark the permalink.